Chemistry Magazine Online gives you another post with interesting chemistry news articles. Abstracts d- MnO2 was prepared with hydrothermal treatment, and its crystalline structure was verified with X-ray diffraction spectroscopy. FTIR showed there were copious hydroxyl groups on the surface of d-MnO2 for the adsorption. The adsorption capacity of three kinds of heavy metal ions Pb2+, Cd2+ and Cu2+ on the d-MnO2 was all increased with the increase of ion concentration and the increase of pH. The adsorption isotherms of Pb2+ exhibited good correlation with Freundlich equations, Langmuir equations and Temkin equations, whereas equilibrium data of Cu2+ was best fitted to Freundlich isotherm, and Langmuir isotherm was best for Cd2+. Adsorption thermodynamics indicates that as the temperature in the range of 298.15 ~ 323.15K, all the adsorptions were endothermic, spontaneous reaction. Therefore, increasing temperature is good for the adsorption, and the higher the temperature, the higher the spontaneity. The competitive adsorption of binary ions indicated that d-MnO2 showed “selective adsorption” to all three ions, Pb2+, Cd2+ and Cu2+. With the co-existence of another ion, the adsorption capacity of all three ions decreased, which means the competitive adsorption took place by the co-existence ion. Different ion pair showed different competitive behavior, among which Pb2+ exhibited the highest adsorption compatibility. Among all the ores in water and soil in the nature, the most common one is metal oxides, such as Fe2O3�qnH2O, 2Fe2O3�qH2O, Al2O3�qH2O, Al2O3�q3H2O andd-MnO2, etc. .Due to some of their important properties such as large specific surface area, plentiful superficial functional groups and superior charge convertibility, these oxides show intense chemical reactivity with heavy metal ions. Therefore their existence is a main factor in affecting the migration, transformation and inclination of heavy metals and organics in our environments. Manganese oxides are able to absorb heavy metal ions, and they are also the natural oxidizing agents for certain ions such as As3+, Cr3+. They not only affect the effectivity and toxicity of some nutritious elements and pollutants, and the fate of formation and transformation of some organics; but also play an important role in adjustment of the concentrations of heavy metal ions in soil and waters in our environment[1,2]. There are many reports on the investigation of the adsorption of heavy metal ions with the metal oxides. Forbes  studied the factors affecting the adsorption of heavy metal ions on Fe2O3�qH2O , and found that the adsorption of ions were increased with the increase of pH. Although the experimental pH values were all less than the ZPC values (pH > 8.2) of Fe2O3�qH2O , different heavy metal ions showed different pH values for initial adsorption and maximum adsorption. Sun et al. investigated the adsorption of mercury ion on Fe2O3�qH2O , and found that with the increase of pH, the absorbance of Fe2O3�qH2O to mercury increased rapidly at first, reached the maximum, and then decreased gradually, which was totally different with the adsorptive behavior of many other heavy metal ions. With the existence of chlorides, the adsorption of mercury ions was less than that without chlorides, and exhibited higher pH values for maximum adsorptions. The report of Masanori indicated that both of amorphous iron oxide hydrates and the iron oxides with low crystalline showed relatively high absorption capacity, which could be related to pH of the solution, ion strength and ion concentration. And with the increase of pH, the adsorption of Cu2+、Zn2+、Mg2+on iron oxides increased, with the order as Cu2+>Zn2+ >Mg2+. Zhu et al. investigated the ion exchange reaction between metal copper ion and d-MnO2 particles with pH curves and exchange isotherms. They found that the ion exchange process comprised the replacement of the univalent copper ion for the H+ of hydroxyl groups on the d-MnO2 surface, and it was a multi – coordination exchange reaction. The mechanism and process were analyzed and verified with the theory of multi-coordination exchange. The three complex equilibrium constants were also determined. The results of investigation of Randall S  for the sorption of manganese potassium mineral materials to Cd2+ showed that at pH = 2.0, 2/3 of Cd2+ in the solution could be absorbed by the manganese potassium mineral material. The absorbed Cd2+ was mainly located in the cavities which were not occupied by K+. The decreasing of pH values in the adsorption process also indicated that Cd2+ mainly exchanged with H+. Loganathan P & Burau RG  studied the sorption of synthesized d-MnO2 to Zn、Cu、Ni、Co at T = 24.0±0.5°C and pH = 4. Their results revealed that there were ion exchanges on the surface and also throughout the specimens. All the metal ions exchanged with H coupled groups on the surface. The heavy metal ions Zn, Cu, Ni, and Co were even able to exchange with Mn2+ located in the unordered layers. Moreover, Co could exchange with Mn3+ located in the unordered layers, with the transformation of electrons and the release of Mn ions. X-ray diffraction spectrum indicated that the crystalline structure of d- MnO2 was unchanged after the adsorption of Co and Zn. In order to explain the mechanisms of adsorption on metal oxides and to quantitatively describe the process of adsorption, many scholars [9-11] proposed a variety of sorption models, such as surface complexion model, the valence theory of the affinity of the reactive groups on the metal hydroxides surface, the sub-stable equilibrium adsorption theory, and the forecast of adsorptive behavior by thermodynamic calculation combined with proton theory. All these models from different view of points explained the adsorptive behavior of metal oxides in some extent, however, there are still some problems remained. For example, these models are unable to describe the exact situation of adsorbed ions on the surface of metal oxides, and the errors between the models and experimental values are quite large. d- MnO2 is one kind of important manganese oxides. Due to its poor crystalline, large specific surface area, excessive adsorption space and copious hydroxyl groups, d- MnO2 shows excellent adsorption capacity to many pollutants. In this paper, the adsorption capacity, adsorption thermodynamics and the competitive adsorption of some heavy metal ions such as Pb2+, Cd2+ and Cu2+ on d-MnO2 are investigated. The adsorption mechanism is also explored. You might be interested in reading some chemistry related news with a topic – Determination of resorcinol on glassy carbon electrode modified by carbon nanotube and its application in wastewater analysis. KMnO4 and MnSO4 were mixed at the molar ratio of 6:1 and were dissolved in distilled water. The mixture was added into a PTFE reactor. The hydrothermal treatment was performed at the temperature of 160 °C and under the pressure of 2.45 ~2.94 MPa for 24 h. After the reaction, the mixture was filtered. The solid part was rinsed with distilled water repeatedly and was dried and ground for further use. 0.01g d-MnO2 was weighed and was put into centrifugal tubes (50 mL) respectively. KCl (0.01 mol L-1) was used as supporting electrolyte. Certain amount of PbCl2 standard solutions，CdCl2 standard solutions or CuCl2 standard solutions was added. The concentration of Pb2+ were 0.242，0.435，0.580，0.725，0.870，1.014，1.159，1.304mmol L-1 respectively. And the concentration of Cd2+ were 0.05，0.10，0.15，0.30，0.50，0.75，1.00，1.50mmol·L-1and the concentration of Cu2+ were0.25，0.60，0.90，1.50，2.10，3.00，3.30mmol·L-1 respectively. The final volume of the solutions was controlled to 30 mL. The specimens were oscillated at 25 °C、35°C、50°C for 24 h and were then centrifuged. Finally, the mixture was filtrated and the equilibrium concentrations of Pb2+、Cd2+、Cu2+ were measured by analyzing the liquid part with Agilent 3510 Atomic absorption spectrophotometer. 8×0.01g d-MnO2 was weighed and was put into centrifugal tubes (50 mL) respectively. KCl (0.01 mol L-1) was used as supporting electrolyte. PbCl2 standard solutions were added and the concentrations of Pb2+ were 0.242，0.435，0.580，0.725，0.870，1.014，1.159，1.304mmol L-1 respectively. The final volume of the solutions was controlled to 30 mL. The specimens were oscillated at 25 °C for 24 h and were then centrifuged. Finally, the mixture was filtrated and the equilibrium concentrations of Pb2+ were measured by analyzing the liquid part with Agilent 3510 Atomic absorption spectrophotometer. 8×0.01g d-MnO2 was weighed in centrifugal tubes (50 mL) respectively. KCl (0.01 mol L-1) was used as supporting electrolyte. CdCl2 standard solutions were added and the concentrations of Cd2+ were 0.05，0.10，0.15，0.30，0.50，0.75，1.00，1.50mmol L-1 respectively. The final volume of the solutions was adjusted to 30 mL. The specimens were oscillated at 25 °C for 24 h and were then centrifuged. The mixture was filtrated and the liquid part was analyzed with Agilent 3510 Atomic absorption spectrophotometer. 7×0.01g d-MnO2 was weighed in centrifugal tubes (50 mL) respectively. KCl (0.01 mol L-1) was used as supporting electrolyte. CuCl2 standard solutions were added and the concentrations of Cu2+ were 0.25，0.60，0.90，1.50，2.10，3.00，3.30mmol L-1 respectively. The final volume of the solutions was controlled to 30 mL. The specimens were oscillated at 25 °C for 24 h and were then centrifuged. The mixture was filtrated and the liquid part was analyzed with Agilent 3510 Atomic absorption spectrophotometer. 0.01g d-MnO2 was weighed in centrifugal tubes (50 mL) respectively. KCl (0.01 mol L-1) was used as supporting electrolyte. Certain amount of PbCl2 standard solutions，CdCl2 standard solutions or CuCl2 standard solutions was added and the concentration of Pb2+、Cd2+ and Cu2+ was controlled to 0.58mmol L-1、0.10 mmol L-1 and 0.60 mmol L-1 respectively. pH values were regularized with 0.2 mol L-1 KOH solution or with 0.2 mol L-1 HCl solution. Therefore, a series of solutions with pH values in the range of 2 ~ 7 were prepared. The final volume of the solutions was controlled to 30 mL. The specimens were oscillated at 25 °C for 24 h and were then centrifuged. The mixture was filtrated and the liquid part was analyzed with Agilent 3510 Atomic absorption spectrophotometer. 0.01g d-MnO2 was weighed in centrifugal tubes (50 mL) respectively. KCl (0.01 mol L-1) was used as supporting electrolyte. PbCl2 standard solutions were added and the concentration of Pb2+ was controlled to 1 mmol L-1, and then Cu2+ or Cd2+ was added respectively. The concentrations of Cu2+ in above Pb2+-Cu2+ solutions were 0, 0.3, 0.6, 0.9, 1.5, 2.4, 3.0 mmol L-1 respectively, whereas the concentrations of Cd2+ in the Pb2+-Cd2+ solutions were 0, 0.1, 0.15, 0.3, 0.5, 0.75, 1.0, 1.5 mmol L-1. The solutions of Cu2+-Pb2+, Cu2+-Cd2+, Cd2+-Cu2+, and Cd2+-Pb2+ were prepared respectively with the same protocol. For Cu2+-Pb2+solutions, Cu2+ concentration was 1 mmol L-1 and Pb2+ concentrations were 0, 0.2, 0.3, 0.5, 0.75, 1.0, 1.2, 1.5, 2.0 mmol L-1 respectively. The concentrations of Cd2+ for Cu2+-Cd2+ solutions were 0,0.1, 0.15, 0.3, 0.5, 0.75, 1.0, 1.5 mmol L-1. The concentrations of Cd2+ for Cd2+-Cu2+ solutions was 1 mmol L-1 and the Cu2+ concentrations were 0, 0.3, 0.6, 0.9, 1.5, 2.4, 3.0 mmol L-1. And the concentrations of Cd2+ for Cd2+-Pb2+ solutions was 1 mmol L-1 and the Pb2+ concentrations were 0,0.2, 0.3, 0.5, 0.75, 1.0, 1.2, 1.5, 2.0 mmol L-1.The final volume of the solutions was controlled to 30 mL. The specimens were oscillated at 25 °C for 24 h and were then centrifuged. The mixture was filtrated and the liquid part was analyzed with Agilent 3510 Atomic absorption spectrophotometer. The X-ray diffraction spectrum of d-MnO2 was shown in Figure 1. From the figure we can see that there are three distinct peaks at 12.44°, 25° and 37°, with intensity as 720, 534 and 418, respectively. These data matches the standard spectrum very well. The diffraction peaks are relatively broad, which indicates that the grain size of d-MnO2 crystals is quite small, and its crystalline capacity is poor. Thus d-MnO2 can provide more surface area for adsorption. FTIR spectrum for d-MnO2 was shown in Figure 2. The absorbance around 505 cm-1 (fingerprint district) corresponds to O-Mn-O characteristic stretching vibration, indicating the existence of MnO2 crystalline lattice. The FTIR spectrum of δ-MnO2 also showed typical absorbance in the range of 3600 ~ 3000 cm-1, corresponding to the stretching vibration of H-O-H of water and hydroxyl groups, whereas the peak at 1624 cm-1 corresponds to the bending of H-O-H. The simultaneous appearance of these peaks indicates the existence of bonded water for the unit cell of MnO2 crystals. The adsorption isotherms of Pb2+, Cd2+ and Cu2+ on δ-MnO2 at 298.15K, 308.15K and 323.15K are shown in Figure 3, 4, and 5. From the figures, we can see that the adsorption of all three heavy metal ions is increased with the increase of temperature, indicating that all the adsorptions are endothermic reactions. Therefore, increasing temperature is helpful for the adsorption. Table 1 gives the Langmuir isotherm parameters of Pb2+, Cd2+ and Cu2+ resulting from the fitting of the Langmuir equation. The Langmuir parameters show that as temperature increases from 298.15K to 323.15K, the saturate adsorption Gmax of Pb2+ is increased from 1.614 mmol g-1 to 1.855 mmol g-1, whereas Gmax of Cu2+ increased from 1.484 mmol g-1 to 1.626 mmol g-1, and Gmax of Cd 2+ is increased from 0.7407 mmol g-1 to 0.9556 mmol g-1. From Table 1 we can see that equilibrium constants are also increased with the increase of temperature. All of these data indicate that with the increase of temperature, the adsorptive affinity of δ-MnO2 to Pb2+, Cd2+ and Cu2+ is increased, and so is the adsorption capacity. Thermodynamics parameters are also calculated from Gibbs equations (Equation  and ) and the results are listed in Table 2. All the DG°s are negative values; and the higher the temperature, the lower DG°. This indicates that all the adsorptions of Pb2+, Cd2+ and Cu2+ on d-MnO2 are spontaneous reaction, and the higher the temperature, the higher the spontaneity. From Table 2 we can also find that all the DH°s are positive values, which once again verifies that all the adsorption are endothermic, and increasing temperature is good for adsorption. At the meantime, since adsorption enthalpy is also an important criteria for physical adsorption and chemical adsorption, from Table 2 and Table 3 we can tell that the adsorption of Pb2+, Cd2+ and Cu2+ comprises physical adsorption and chemical adsorption simultaneously. And since the DH° value of Cu2+ is the smallest one, the extent of chemical adsorption of Cu2+ should be the least compared to those of the other ions. The adsorption behavior of d-MnO2 to Pb2+, Cu2+ and Cd2+ is described in Figure 6a, 6b and 6c. The results show that both the adsorption Pb2+ and Cu2+ on d-MnO2 (Figure 6a and 6b) are well interrelated with the ion concentrations, i.e., the adsorption capacity is increased with the increase of ion concentrations. Both isotherms rise rapidly at first and then flat over, and reach saturation at last. The adsorption capacity of Cu2+ on d-MnO2 is weaker than that of Pb2+, perhaps due to the fact that at the experimental conditions, Pb2+ is more easily hydrolyzed to form PbOH+ and coordinated with hydroxyl groups on d-MnO2 surface. The adsorption capacity of Cd2+ is less than those of Pb2+ and Cu2+ (Figure 6c). The adsorption reaches equilibrium quickly and the saturate adsorption is only around 0.80mmol·g-1. The experiment data was also fitted with Langmuir equation (1/G = 1/Gm + (1/Gmk) × (1/c)), Freundlich equation (lgG = (1/n) lgc + lgk) and Temkin equation (G = a + k logc), and the results were shown in Table 4a, 4b and 4c. We find that Temkin model is the best fitted equation for adsorption of Pb2+, whereas Langmuir equation matches adsorption of Cd2+ very well, and Freundlich equation is the best fitted one for Cu2+. By comparing the isotherm parameters of Langmuir equation, we can see that Pb2+ has the highest adsorption capacity among the three ions. The effect of pH on the adsorption behavior of Pb2+, Cd2+ and Cu2+ on d-MnO2 is shown in Figure 7a, 7b and 7c respectively. With the increase of pH values, the adsorption of Pb2+, Cd2+ and Cu2+ on d-MnO2 is all increased gradually; at pH = 4~5, the adsorptions almost reach saturation. The reason for low adsorption capacity at low pH is mainly due to the fact that the competitive adsorption of H+ inhibited the complexion of the heavy metal ions with d-MnO2. With the increase of pH, the concentration of H+ is decreased and the selective adsorption of δ-MnO2 to the heavy metal ions is intensified [15,16]. Meanwhile, with the increase of pH, the negative charges on the surface of manganese oxide hydrate become copious, and the exclusive adsorption of the heavy metal ions becomes steadier. Thus pH should be considered a main factor which can affect the adsorption of heavy metal ions onto manganese oxide. By setting the Cu2+ concentration as a constant and changing the concentrations of Pb2+ in the Cu2+– Pb2+ binary component solutions, the effect of Cu2+ on the adsorption of Pb2+ on d-MnO2 is described in Figure 8a. Similarly, by setting the Pb2+ concentration as a constant and changing the concentrations of Cu2+ in the Pb2+– Cu2+ binary component solutions, the effect of Pb2+ on the adsorption of Cu2+ on d-MnO2 can also be investigated (Figure 8b). It is obvious that because of the co-existence of Pb2+, the adsorption of Cu2+ was decreased greatly. And the co-existence of Cu2+ can also inhibit the adsorption of Pb2+, but not as effective as the effect of Pb2+ to Cu2+. Figure 8 Binary component competitive sorption of Pb2+and Cu2+ (a) adsorption isotherm of Pb2+ affected by Cu2+; (b) adsorption isotherm of Cu2+ affected by Pb2+. The effect of co-existence of Cd2+ to Cu2+, and that of Cu2+ to Cd2+ was obtained at the same time with the aforementioned method and the results are described in Figure 9a and 9b. The figures show that due to the co-existence of competitive ion, the adsorption capacity is decreased. With or without the co-existence of Cd2+, the adsorption of Cu2+ was double of the adsorption of Cd2+. However, the competitive adsorption capacity of Cd2+ to Cu2+ is much higher than that of Cu2+ to Cd2+. Figure 10a and 10b give the adsorption isotherms of Pb2+ with/without Cd2+ and the adsorption isotherms of Cd2+ with/without Pb2+. The figures show that at low concentrations of the metal ions, the co-existence of Pb2+ causes the adsorption of Cd2+ decrease much more than that of the adsorption of Pb2+ with the co-existence of Cd2+, whereas at high concentrations of the metal ions, the effect of Cd2+ to Pb2+ is almost the same as that of Pb2+ to Cd2+. 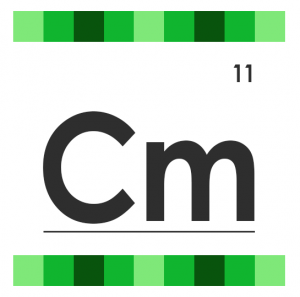 To get the most interesting chemistry news articles, follow chemistrymag.org. 1) The adsorption of Pb2+, Cd2+and Cu2+on d-MnO2 is increased with the increase of ion concentrations. At low ion concentration, the adsorption isotherms rise rapidly. With the increase of concentration of ions, the curves flat over and the adsorption reach saturation. At equilibrium, the rank of adsorption capacity of the three heavy metal ions on d-MnO2 is: Gmax(Pb2+) > Gmax(Cu2+)> Gmax(Cd2+). 2) The adsorption of Pb2+, Cd2+ and Cu2+ on d-MnO2 is all increased with the increase of pH. Thus pH value is a main factor which affects the adsorption of the heavy metal ions on δ-MnO2. 3) The adsorption isotherms of Pb2+, Cd2+ and Cu2+ show good correlations with Freundlich equation, Langmuir equation and Temkin equation respectively, among which Temkin equation fitted for adsorption isotherm of Pb2+ best, Freundlich equation fitted best for Cu2+, and Langmuir equation gives the best fitting for Cd2+. These indicate that the adsorption of Pb2+ and Cu2+ on d-MnO2 shows more physical-chemical adsorptive behavior, whereas the adsorption of Cd2+ shows more chemical adsorptive behavior. 4) Thermodynamic studies indicate the adsorptions of Pb2+, Cd2+ and Cu2+ on d-MnO2 are endothermic reactions, and thus increasing temperature is helpful for the adsorption. The adsorptions are also spontaneous reactions, and the higher the temperature, the higher the spontaneity. 5) The competitive adsorption of binary ions indicates that d-MnO2 shows “selective adsorption” to all three ions, Pb2+, Cd2+ and Cu2+. With the co-existence of another ion, the adsorption capacity of all three ions decreased, which means the competitive adsorption take place by the co-existence ion. Different ion pair shows different competitive behavior, among which Pb2+ shows the highest adsorption compatibility. Forbes E A, Posner A M, Quirk J P. J Soil Sci, 1976, 27:154-166. Masanori O, Keiji T, Yamane I. Soil Sci Plant Nutr, 1986, 32(4):523-533. Zhu Lingzhi, Han Enshan, Zhang Zhengbin, et al. Journal of Hebei University of Technology, 1996,25(4):21-24. Simon R Randall, David M Sherman, K Vala Ragnarsdottir. Chemical Geology, 1998, 151:95-106. Loganathan P, Burau R G. Geochimica et Cosmochimica Acta, 1973, 37:1277-1293. Liu Fan, Tan Wenfeng, Liu Guiqiu, et al. Acta Pedologica Sinica, 2002, 39(5): 699-706. Tang Yanjie, Jia Jianye, Xie Xiande. Advance in Earth Sciences, 2002,17(4):557-564. Ding Zhenhua, Feng Junming. Acta Mineralogica Sinica, 2000,20(4):349-352. Wang F, Chen J. Environ. Sci. Technol, 1997, 31:448-453. Lu Yahai, Huang Changyong, Yuan Keneng, et al. Acta Pedologica Sinica, 1995,32(4):370-376. Shen Xueyou, Lu Yingying, Zhu Lizhong. China Environmental Science, 2003,23(4),367-370.